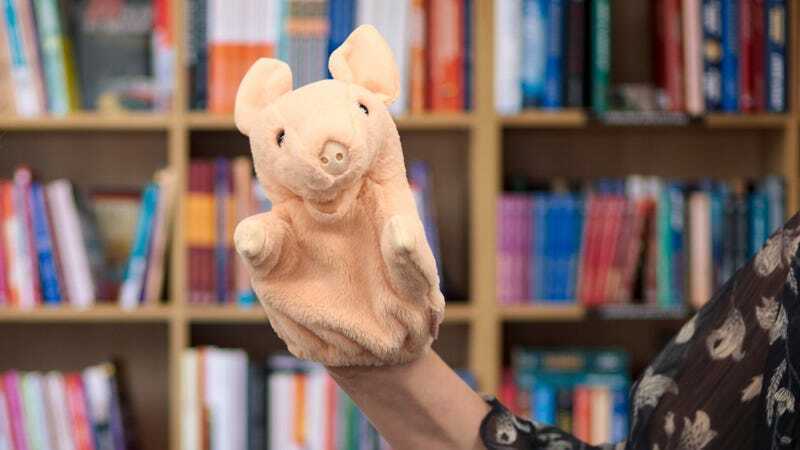 OMAHA, NE—Saying she’d “psyched herself out” during the last few story times at her local library, area puppet Phoebe the Pig admitted to reporters Wednesday that due to nerves, she had no idea what to do with her hands. “The minute I got out there in front of the kids, I felt uncomfortable. It was like my arms were just hanging there or sticking out at weird angles,” said Phoebe, noting that even gestures like waves, friendly handshakes, or throwing her hands in front of her eyes for a quick game of peek-a-boo didn’t feel natural anymore. “Sometimes, I feel odd just standing still, so I’ll start clapping or high-fiving people like an idiot. And, honestly, the more I think about it, the worse it gets. Yesterday, I had no idea what to do, so I just started dancing. The kids wouldn’t stop laughing.” At press time, Phoebe added that she had managed to stop some of her nervous fidgeting by simply putting her hands inside of her mouth.